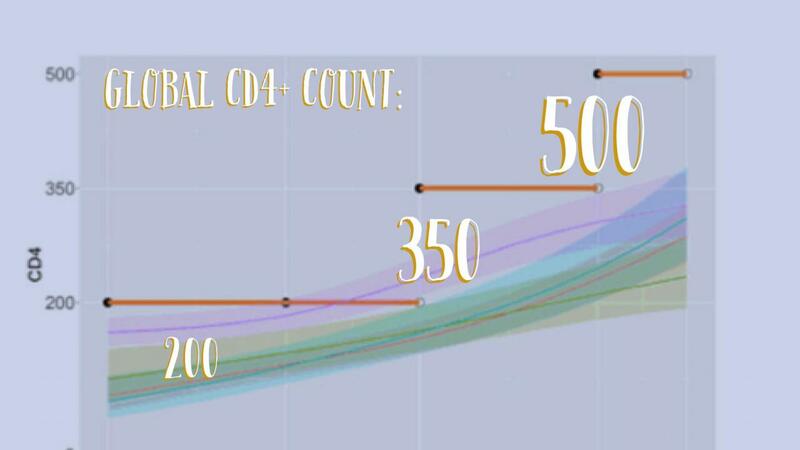 Global median CD4 count at treatment initiation increased but remains below 350, the World Health Organization guidelines recommendation. Unfortunately, in 2015, more than one in four people globally still started HIV treatment with a CD4 count below 200. Work is needed to catch up better results. According to National AIDS Treatment Advocacy Project (NATAP) reports, the median CD4 count upon initiation of treatment with antiretrovirals (ARVs) remains below 350 globally. Experts say that a lot of work should be done to satisfy World Health Organization (WHO) guidelines. WHO recommends starting treatment as soon as possible for all HIV-positive people. Between 2002 and 2009, WHO recommended initiating HIV therapy when CD4 immune cells count dropped to 200 or below. This threshold was raised up to 350 in 2009 and up to 500 in 2013 before announcing the treat-all recommendation in 2015. A global START trial has proved that starting HIV treatment with a CD4 count above 500 gives people hope for better health compared with waiting until CD4s drop to 350 or below. Conclusions were presented at the 9th International AIDS Society Conference on HIV Science in Paris (IAS 2017). You can read the NATAP report clicking here.